Its December 2013 and I have registered for 3 events for next year events. The plan for next year, is to concentrate on running events for the first 6 months. Maybe I will do 1 or 2 Ultra run. 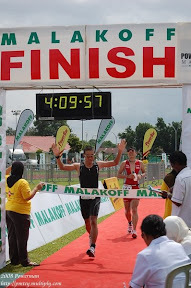 For sure, I’m going to register for the Beaufort 60Km Run held every mid December at Beaufort Sabah, Malaysia. Do check it out and most probably you will see a race that you like.